Looking for a choice of football hotels to stay at when travelling to those away games? LateRooms.com offer some of the best deals around to help you get your accomodation sorted for those away games. 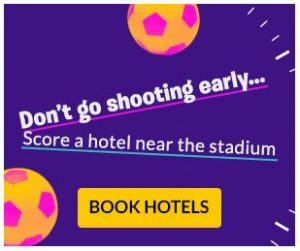 To find a hotel close to your football teams away destination, simply just click on the Image below and enter the area and date you are looking for.